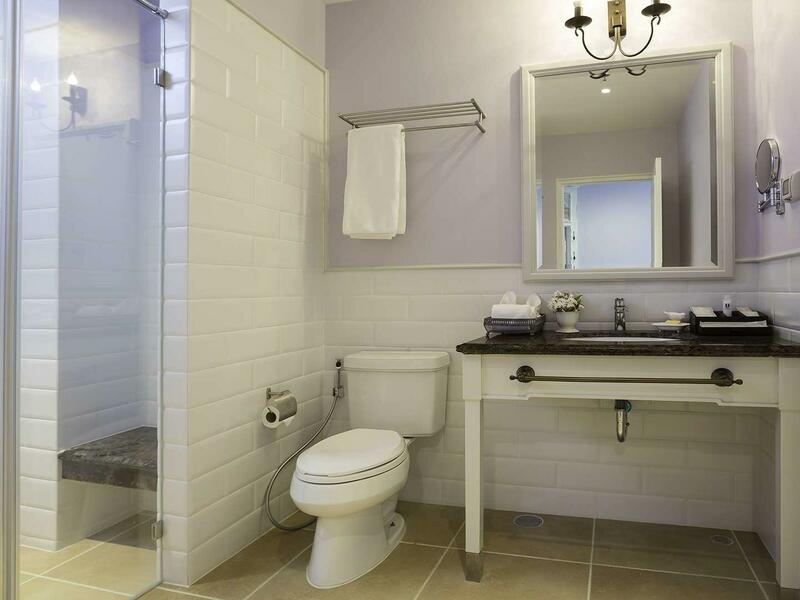 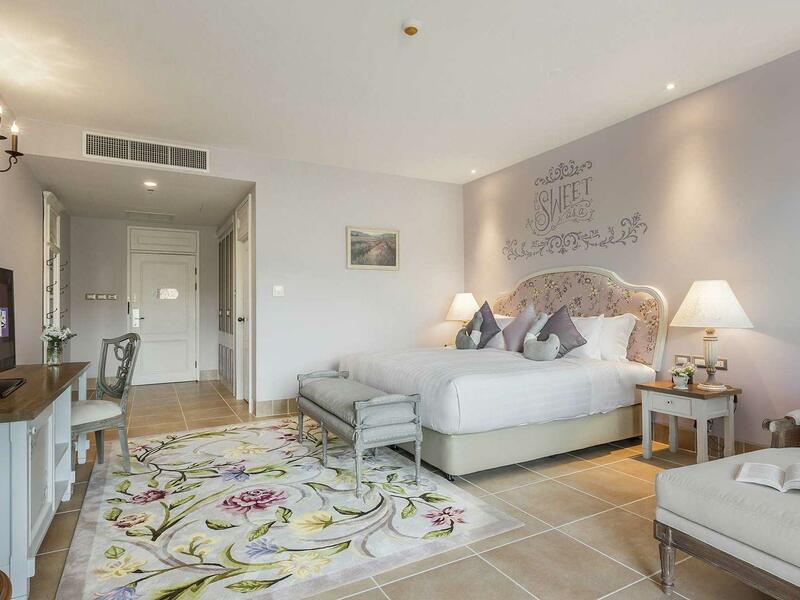 Our elegant Deluxe Rooms offer every luxury amenity required for a relaxing stay. 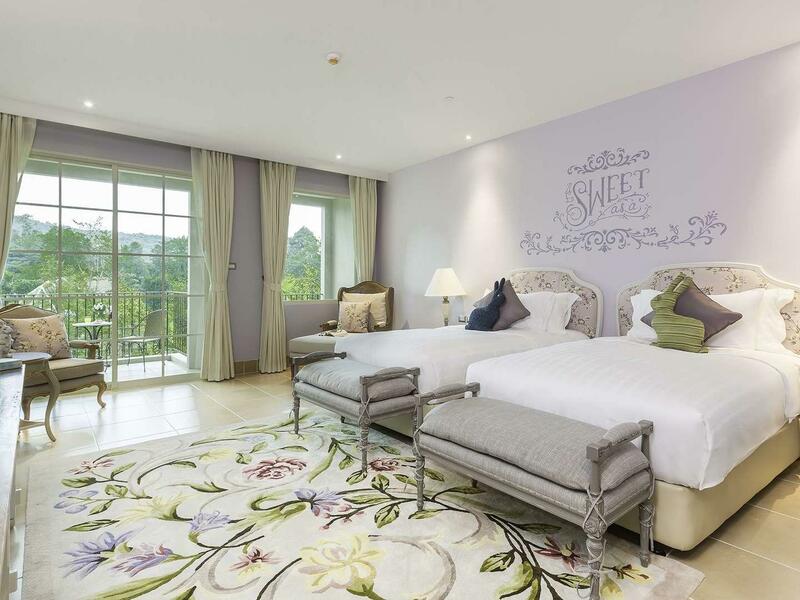 These rooms are spacious and designed in light purple color schemes with a daybed. 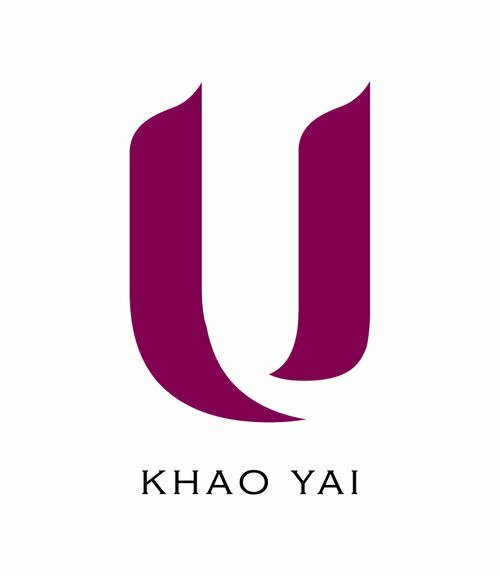 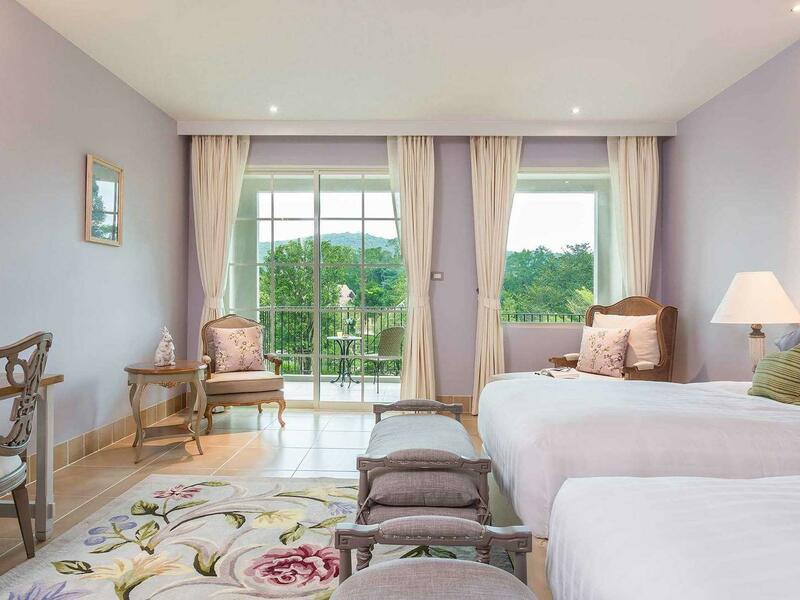 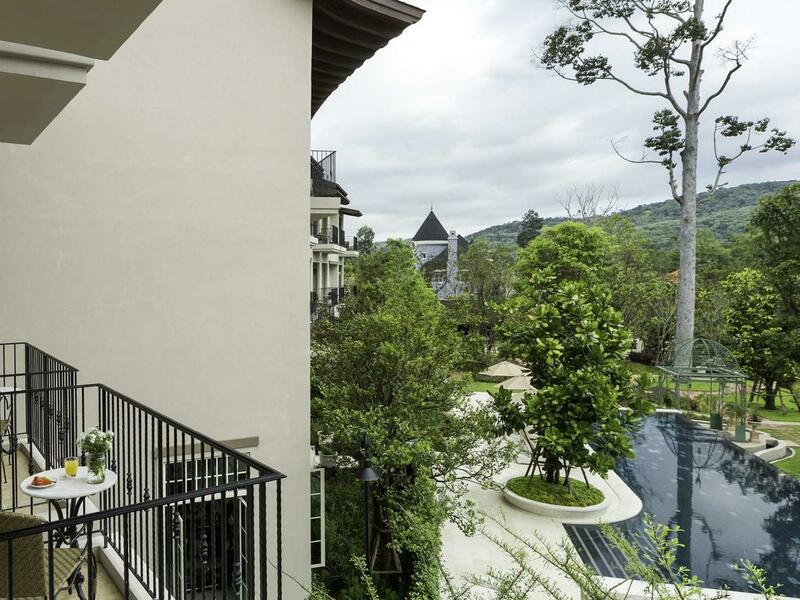 Experience our luxury hotel for your next Khao Yai Thailand holiday. 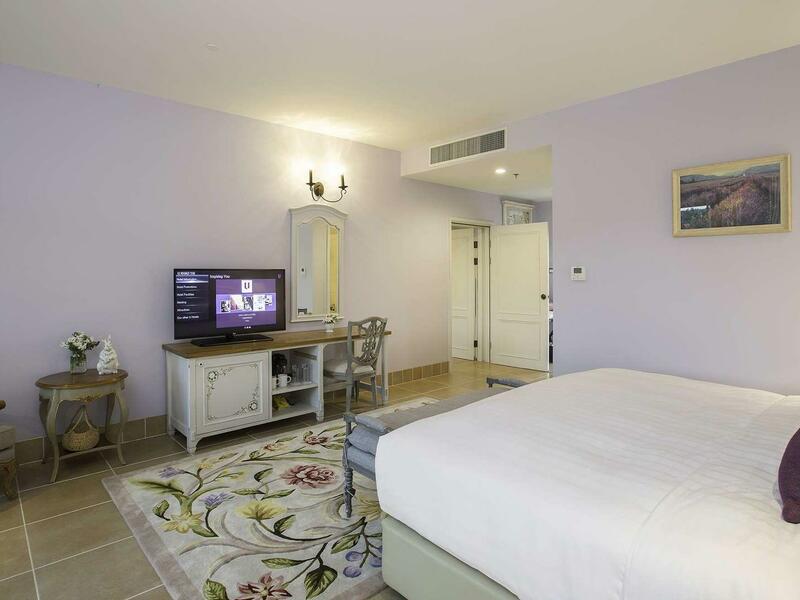 Available in both king and twin bed.